The large and luxurious 2019 Dodge Durango leads the full-size SUV market on all fronts. This begins with the bold and dazzling exterior, which envelopes a roomy, well-appointed interior cabin. On the inside of this massive luxury SUV you will discover cutting-edge technology that's been combined with the ultimate in comfort amenities and advanced safety equipment. The exceptional sales team at Larchmont Chrysler Jeep Dodge Ram is standing by seven-days a week, ready to lend a hand when you come in search of a new 2019 Dodge Durango for sale in Larchmont, NY and near Yonkers, NY. We take great pride in our expansive 2019 Dodge Durango inventory near White Plains, NY and near Greenwich, CT. Do not hesitate- come in today and test drive a 2019 Dodge Durango near White Plains, NY. As is the case with every Dodge vehicle, the 2019 Dodge Durango in Larchmont, NY is well-stocked with many popular standard features. Advanced technology is well represented with the inclusion of a large 7-inch touchscreen interface that comes complete with Apple CarPlay® and Android Auto™ integration. 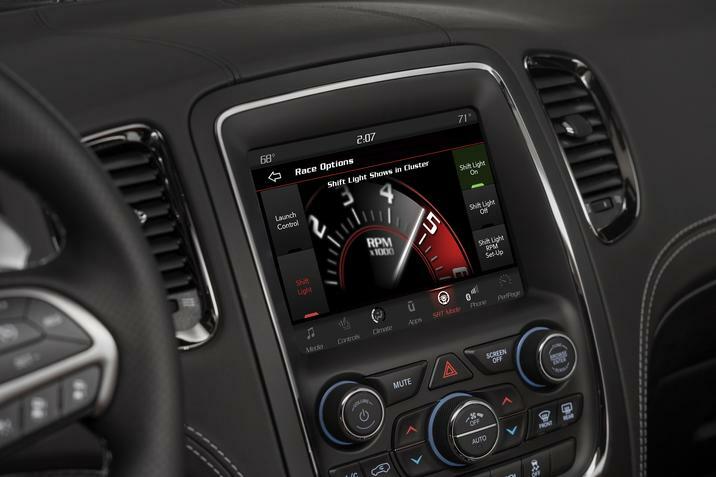 Dodge also offers an available 8.4-inch touchscreen display that includes a built-in navigation system. Standard safety equipment on the Durango includes a Sentry Key® theft deterrent system and a ParkView® rear backup camera. To achieve an even higher level of luxury, you may consider opting for available leather-upholstered seating throughout, along with heated front seats. Seating for up to seven passengers is achieved thanks to the inclusion of the 50/50 split third-row folding seat. An optional power sunroof is a perfect way to enjoy fresh air and sunshine on family road trips. The friendly folks at Larchmont Chrysler Jeep Dodge Ram look forward to showing off the Durango to you and your family very soon. 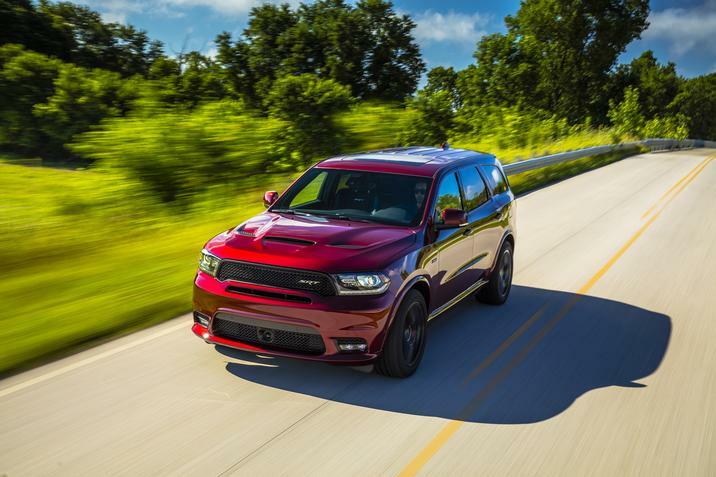 When it comes to power and performance, the 2019 Dodge Durango is off the charts. This begins with the standard 3.6-liter V6 engine. This award-winning offering provides up to 295 horsepower and 260 lb.-ft. of torque, which allows you to tow up to 6,200 pounds. Next up is the powerful 5.7-liter HEMI® V8 engine that generates up to an impressive 360 horsepower and 390 lb.-ft. of torque and can tow up to 7,400 pounds. This brings us to the granddaddy of them all-the 6.4-liter HEMI® that can tow up to 8,700 pounds as it generates up to 475 horsepower and 470 lb.-ft. touchscreen torque. All of these incredible engines pair with an eight-speed automatic transmission. Rear wheel drive is standard fare on every 2019 Dodge Durango in Larchmont, NY. However, Dodge does offer all-wheel drive as an exciting option. 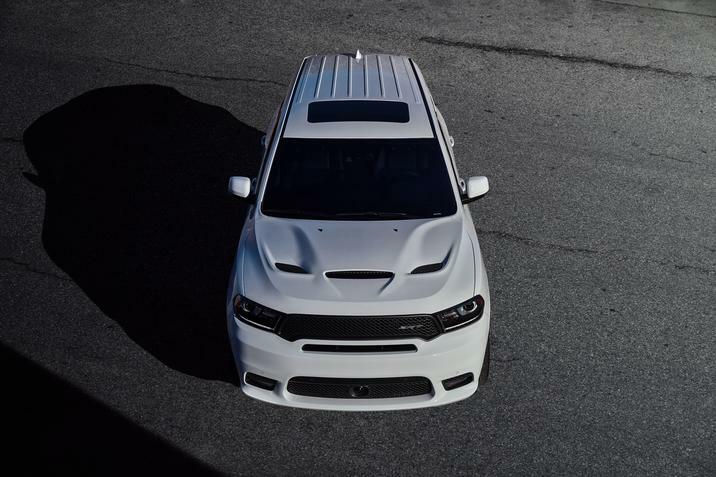 Come see us here at Larchmont Chrysler Jeep Dodge Ram today and drive away in a dynamic and powerful 2019 Dodge Durango.